Obituary for Manuel "Manolo" Mera | Shore Point Funeral Home and Cremation Services, Inc. It is with great sadness that the family of Manuel "Manolo" Mera announces his passing after a brief illness. 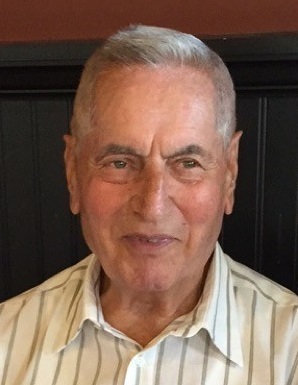 Manuel passed away surrounded by his loving family, at the age of 90, on Tuesday, November 6, 2018 at Riverview Medical Center in Red Bank, New Jersey. He was born on October 23, 1928 in Orense, Spain, emigrated to the United States and settled in New Jersey in 1966. Manolo was a longshoreman at Port Newark-Elizabeth for over 30 years, where he was much appreciated by his co-workers for both his work ethic and friendship. After his retirement from the port in 1996, he loved spending time with family and friends. He enjoyed his trips to Spain each summer and to the Caribbean in the winter, where he thoroughly enjoyed the company of his family and lifelong friends, just as much as they enjoyed his company in return. Manolo was predeceased by his parents, Manuel and Maria (Dominguez) Mera and his dear sisters, Gloria and her husband Adolfo, Concepcion, Pilar, and Benita. He is survived by his beloved wife, Salome (Salgado) Mera, his loving children, Manny Mera and his wife Karen, Ana Vilacha and her husband Jose, Jose Mera and his wife Rebecca, and Narciso Mera and his wife Marianne, and his cherished grandchildren, Michael and his wife Amy, Daniel and his wife Jay-nel, Lisa and her husband Alex, Andrew, Natalie and her husband Tyler, Paul, Monica, and Drew. Manolo is also survived by his two step-grandchildren, Patrick and Elizabeth, his adored great grandchildren, Owen and Madison, and his dear brother-in-law, Camilo Salgado, along with many treasured nieces, nephews, extended family members and friends. Manolo will be sadly missed, but never forgotten. Family and friends are invited to visit on Thursday, November 8, 2018 from 4:00 to 8:00 PM and Friday morning, November 9, 2018 from 9:45 to 10:30 AM at the Shore Point Funeral Home and Cremation Services, Inc., 3269 State Highway/Route 35 North, Hazlet, New Jersey 07730. A Mass of Christian Burial will be offered on Friday morning, November 9, 2018 at 11:00 AM at St. Benedict Roman Catholic Church, 165 Bethany Road, Holmdel, New Jersey 07733. Entombment will follow at Holmdel Cemetery Mausoleum, 900 Holmdel Road, Holmdel, New Jersey 07733. In lieu of flowers, donations in loving memory of Manolo to the St. Jude Children's Research Hospital, www.stjude.org, would be greatly appreciated. For information, directions, or to send condolences to the family, please visit, www.shorepointfh.com.